Columbia, South Carolina — United States Attorney Sherri A. Lydon announced today that the federal Bureau of Prisons conducted a pilot test of micro-jamming technology this week at the Broad River Correctional Institution in Columbia, South Carolina. The test was the first collaboration of its kind in a state corrections facility. It was conducted to determine if micro-jamming could disable cell signals and prevent wireless communication by inmates using contraband cellphones in a housing unit. Contraband cellphones pose a significant safety threat to the general public, prison workers, and other inmates. In partnership with the South Carolina Department of Corrections (SCDC) and the South Carolina Law Enforcement Division (SLED), the U.S. Attorney’s Office for the District of South Carolina has brought a number of cases against both inmates using contraband phones to harm the public and SCDC employees smuggling contraband—including cellphones—into prisons. 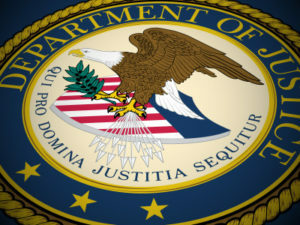 For example, the office has recently prosecuted inmates who have used contraband phones to move large quantities of methamphetamine from California to South Carolina; access the dark web and buy a mail bomb intended to kill an ex-wife; and defraud members of the military of over $560,000 through a “sextortion” scheme.